From 2019, Niue will depict its public seal instead of Queen Elizabeth II on the obverse of some of its collectors coins. I have not seen the particular seal before and can't find any information about it online. The info I found is kind of self-referential. From a Coin Update article about some Ali Baba collector piece: "The obverse includes a brand new crest for the government of Niue that is being used for the very first time on this coin. 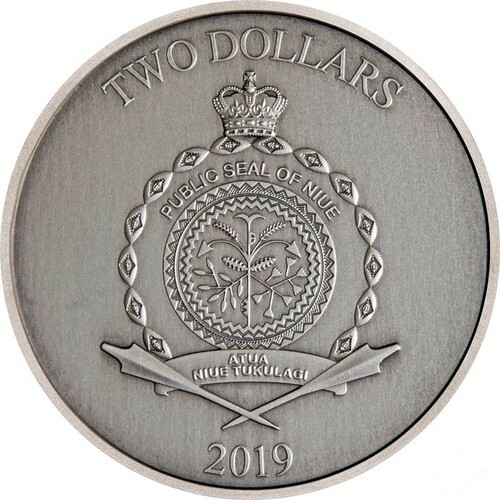 It has been created in association with the government of Niue and will alternate on collector coins as appropriate." Not sure what exactly this "alternate" means. QEII on some coins, that crest "for" the government on others?